Hua Yang Bhd's biggest lakeside township development in Perak, Bandar Universiti Seri Iskandar, will be offering more affordable houses by building 137 units of the Tropika and Casa Series, which are essentially double-storey terrace houses. "There will also be the Seri Idaman and Seri Andaman series, priced from RM130,000 with each unit spanning 74.4 sq m.
"Overall, a total of 909 units will be built," said chief executive officer Ho Wen Yan in a statement today. The company will also launch 123 units of retail shops with a pedestrian mall concept adjacent to the Tesco Superstore in 2012, and will build more commercial shop lots priced from RM450,000. Spanning over 335.2 ha, the township, the group's biggest township project by area, will contribute about 30 per cent of the entire group's earnings next year and will allow Hua Yang to develop the total area in parcels over the next eight years. The company today received the arrival of a Tesco Superstore, which is set to boost sales and mark the arrival of other retail vendors. Strategically located at OneBU@Seri Iskandar, the township's lifestyle and business hub, Tesco's main footage will attract families and individuals to visit the township for groceries, fresh foods and household needs, Ho said. He said Tesco will cater to the rapidly growing population, which now stands at 10,000. "We have seen brisk sales with our latest phases of the Selinsing and Lily series fully sold out," he said. Two hundred units of the Bandar Universiti Business Centre (BUBC) series of commercial shop lots have been snapped up by operators leveraging on the growing student population. The company said to date, it had achieved a good sales take-up rate of 85 per cent. 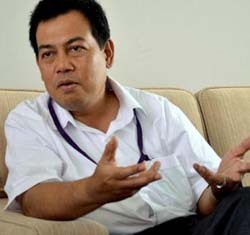 JOHOR BARU: Iskandar Regional Development Authority (Irda) is adopting new strategies to attract more investors into Iskandar Malaysia (IM), said chief executive officer Ismail Ibrahim. Given the debt crisis in the eurozone, economic slowdown in the United States and Asian countries bracing themselves for slower growth, it was becoming more challenging to attract new investments, he said. “The situation requires Irda to work even harder and we are making extra efforts to continue attracting investors to IM,” Ismail told StarBiz recently. Launched on Nov 4, 2006, IM spans 2,217 sq km in the southern most part of Johor and three times bigger than Singapore. IM is divided into five flagship development zones - the Johor Baru City Centre, Nusajaya, Eastern Gate Development Zone, Western Gate Development and Kulai-Senai. Irda is the regulatory authority mandated to plan, promote and facilitate the development of IM into a strong and sustainable metropolis of international standing by 2025. “The main challenge for us in IM is to work within an economic situation which is interchangeable and to keep up with the subtle changes in the market trend worldwide in various sectors,” he added. Irda has taken several steps to mitigate possible set backs by diversifying the economic portfolios and having a good mix to reduce too much dependency on one economic segment. Since its inception five years ago, IM has recorded a total cumulative committed investment of RM77.82bil from various sectors as of September this year. Of the total, RM46.63bil or 60% are domestic investments while foreign investments stood at RM31.19bil or 40%. Manufacturing sector recorded the highest investment figure of RM29.52bil followed by the property segment with RM25.84bil investment, utilities and tourism (RM16.18bil) and government spending on infrastructure at RM6.28bil. From 2011 to 2015, Irda has targeted to attract RM73bil investments or RM14.5bil annually. To date, IM had almost reached the RM13bil investment targeted this year. Irda had also set certain targets by 2025 the year where it should be developed and received the cumulative investment of RM382bil, creating a 1.4 million workforce with RM93bil in gross domestic product. Ismail said that with the economic upheaval, East Asia had become more attractive to investors from Europe and the United States. Glomac Bhd, a Malaysian property developer, advanced to the highest level in almost three weeks in Kuala Lumpur trading after second-quarter profit surged 50 percent to RM23.8 million from a year earlier. The stock rose 1.2 percent to 83 sen at 9:12 a.m. local time, set for the highest close since Nov. 16.